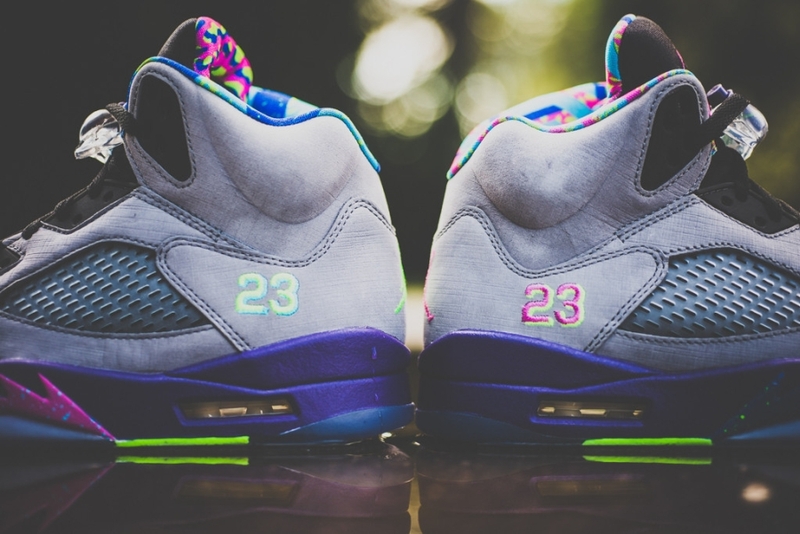 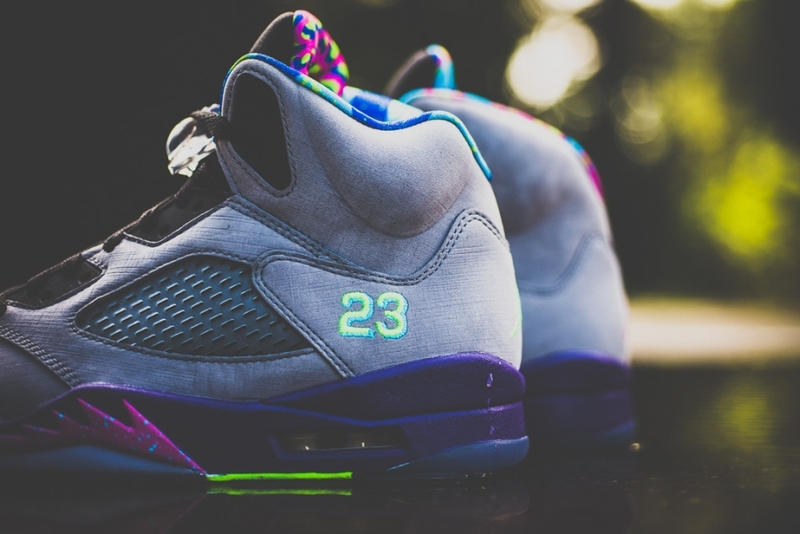 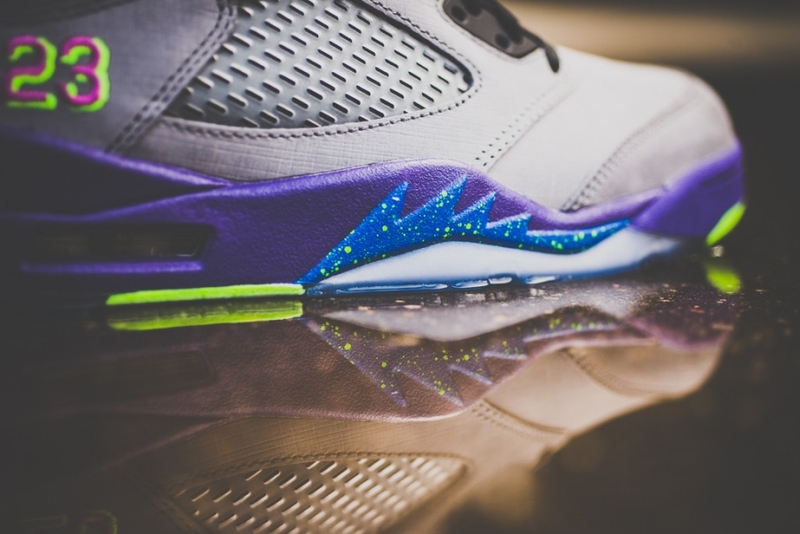 The Air Jordan 5 “Bel-Air” is finally ready to release. 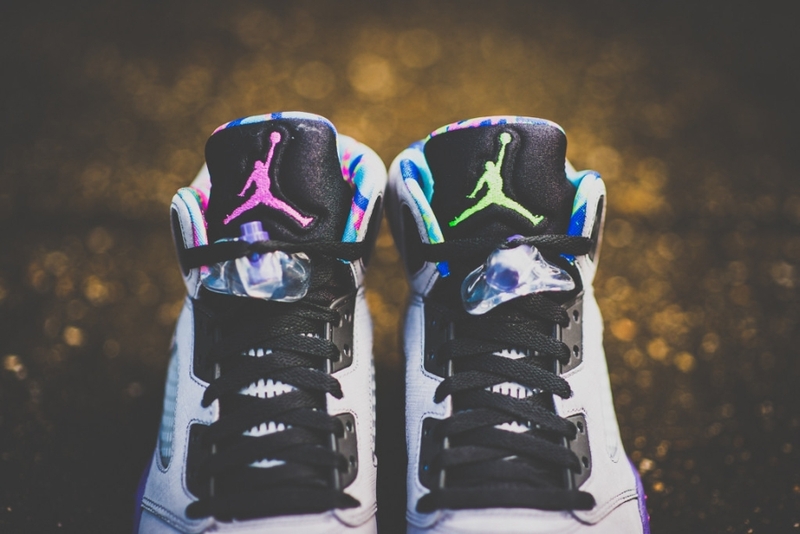 The sneakers are certainly the most colorful of this year’s Air Jordan 5 pairs, a title that wasn’t easily claimed when you consider just how many retro pairs have come out for that shoe in 2013. 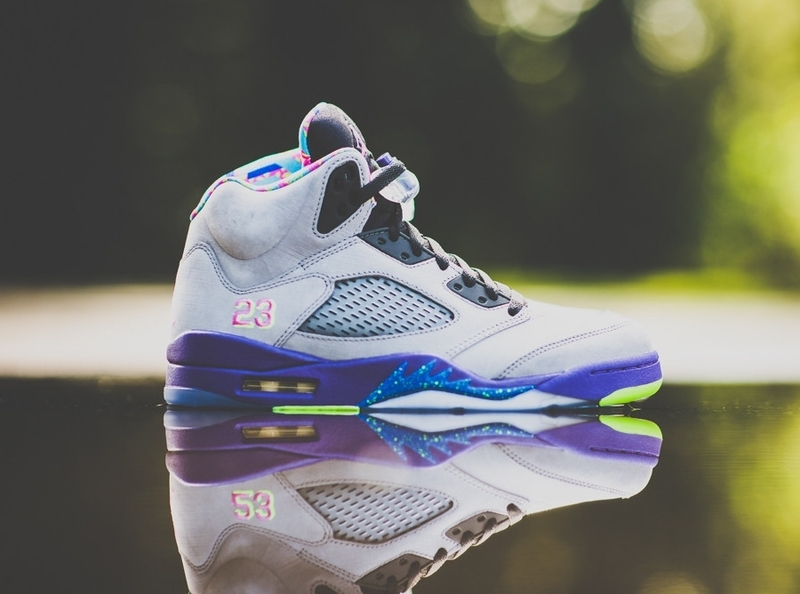 Thanks in part to the premium materials, the “Bel-Air” will run you a little bit more at retail than your standard pair-they clock in at $185. 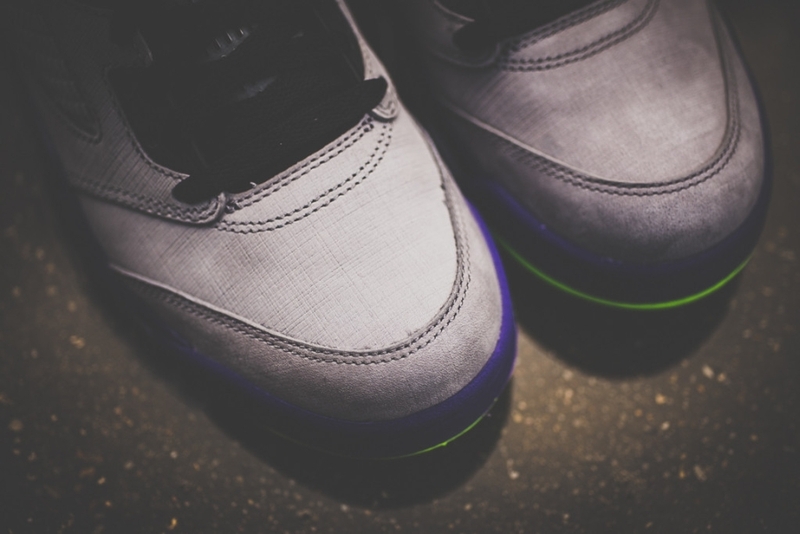 Continue reading to see tomorrow’s asymmetrically colored “Bel Air” pair of Jordans in better detail and remember that Sneaker Politics is one of the spots who will have them in store. 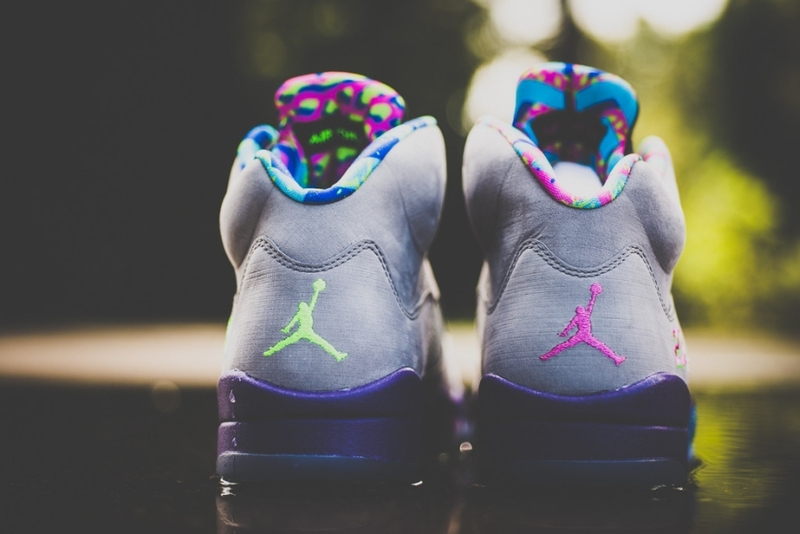 Also remember that you can grab a pair now on eBay.